After rebounding from the upper fibo-levels several times, Eurodollar continues falling. 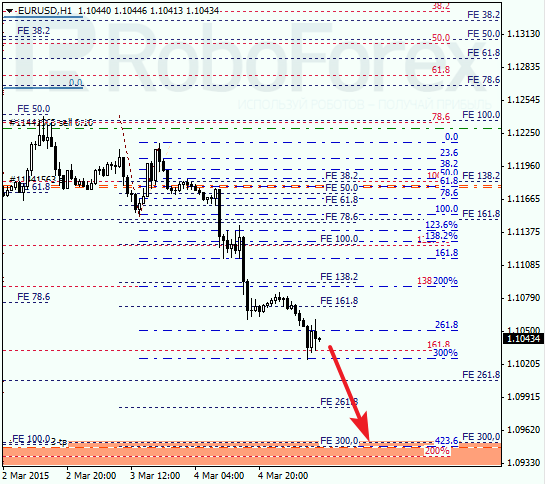 The closest target for bears is still the group of fibo-levels at 1.0940. 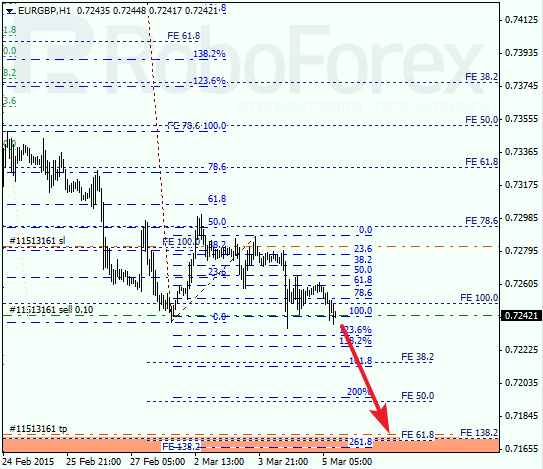 I’m planning to stop trading after the pair reaches the above-mentioned area. 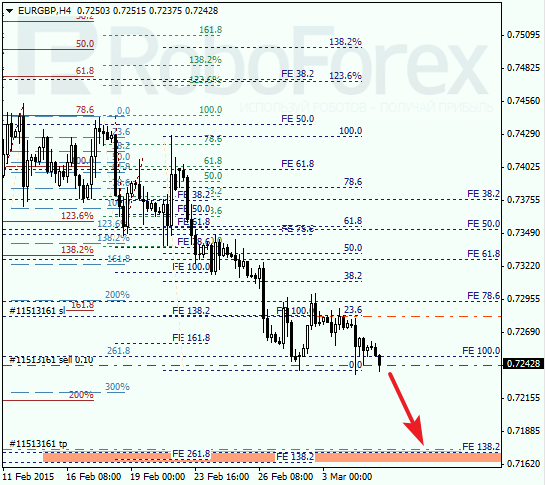 As we can see at the H1 chart, the lower targets are confirmed by local retracements. I’m planning to open one more sell order when the price completes a short-term correction. Possibly, the market may reach its predicted targets by the end of this week. The target is still at the group of lower fibo-levels. If later the market rebounds from these levels, the price may start a deeper correction. So far, I’ve got only one sell order with the stop loss at the local maximum. 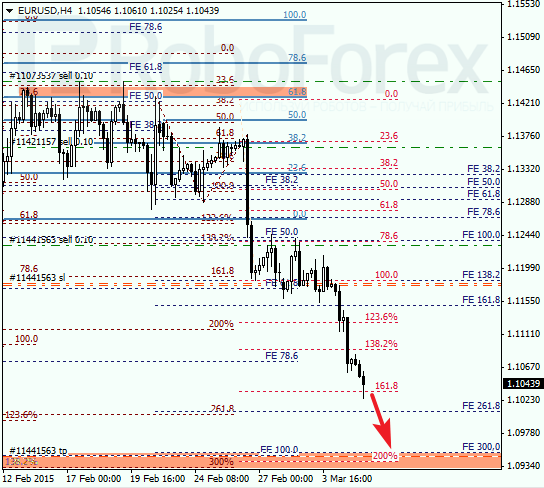 As we can see at the H1 chart, the target area is confirmed by local retracements. I’ll move the stop loss on my order to breakeven as soon as the pair breaks the minimum. In the future, I’m planning to open another order.